Tonga was never colonised by the British during the times of the Empire. It was, however, unified in 1845 by Taufa'ahau, who was eventually baptised, and declared the island of Tonga a constitutional monarchy. By having a well-established governmental system, Tonga was never colonised. However, it joined the British Empire in 1900 under a treaty of friendship in order to ward off interest from other settlers, and the other European powers. 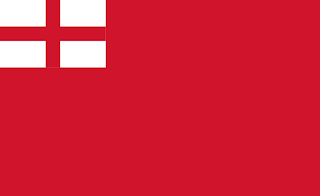 Tonga originally adopted a flag very similar to that of the Red Cross. A red cross centred in the middle of the flag, and not reaching the edge of the flag. However, in 1864, the flag was altered to differentiate from the Red Cross. 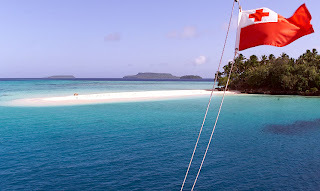 The new flag took the British Red Ensign, and replaced the Union Jack with the original flag of Tonga. This new flag had remarkable similarities to the old Red Ensign of England. The flag was formally adopted in 1875, and has remained the flag of Tonga ever since.